Our products are guaranteed for two years. Our customer service is directly supported by our manufacturer Eurorad. It is subject to a quote. Quality control (ANSM recommendation) is carried out directly at Eurorad. Download Free Sales Certificat 2017. Download CSA – Certificat of Compliance. This is the user manual for the latest version of Europrobe: Europrobe 3.2. For all other versions please contact us. Download User Guide Europrobe 3.2. 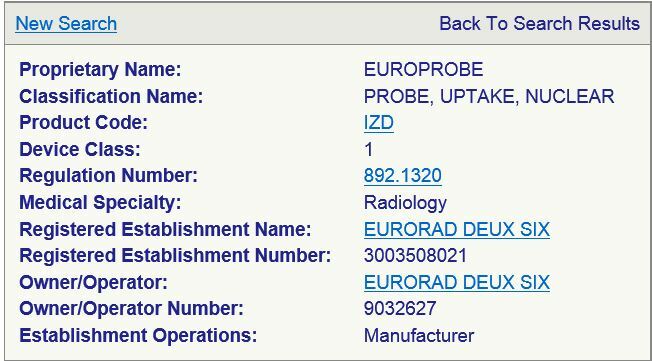 Download User Guide Europrobe 3.2 – Opto Nuclear. Download User Guide Europrobe 3.2 – Bluetooth.